V3 3-axis handheld gimbal is a steady shooting system that highly combines software with hardware. It is a perfect tool for videographers demanding high quality stabilized footage. Aims to move mobile photography into a new level. 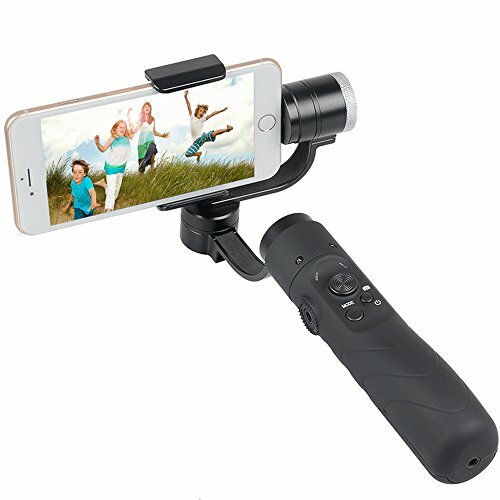 V3 is a professional 3-Axis Handheld Gimbal, which is specially designed for 3.5"~6.1" smartphones, such as for iPhone series, for HUAWEI P10/P9 and P10 Plus P9 Plus, for Mi 6/5 for MEIZU MX6, for Samsung S6/S7, for Iphone7/iphone 8/ iphone X etc. It allows you to use your Gopro to shoot smooth professional quality video easily to share your experience. The handheld grip is long enough to give you different perspectives. The 3-Axis Handheld Gimbal is a steady shooting system that highly combines software with hardware. It is a perfect tool for videographers demanding high quality stabilized footage.